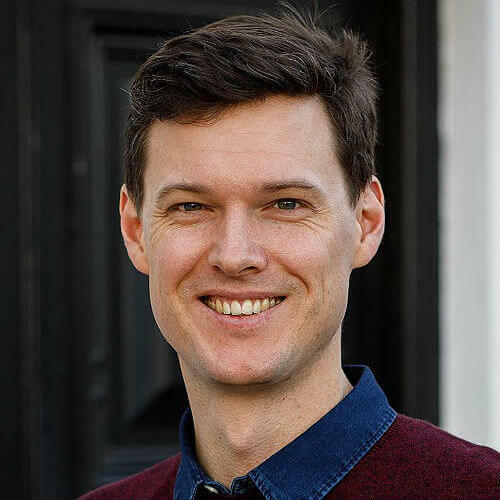 Simon, our Studio Manager, worked as a freelance runner before starting at Mount Pleasant as Stage Manager. 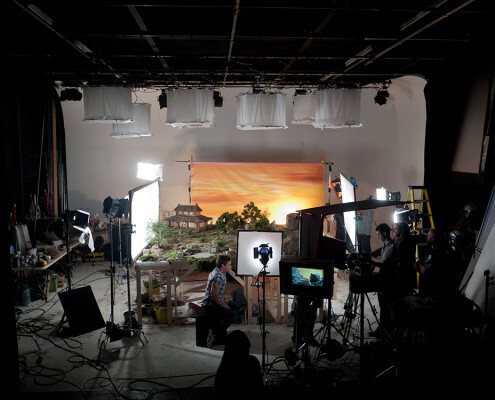 Over the past 12 years he has helped with every kind of production, so has a vast experience of every aspect of studio shoots. He has an encyclopaedic knowledge of equipment and of film technique. If it can be done in our studio, he’s probably seen it and worked on it, so is a good man to help set up your shoot and help it run smoothly. 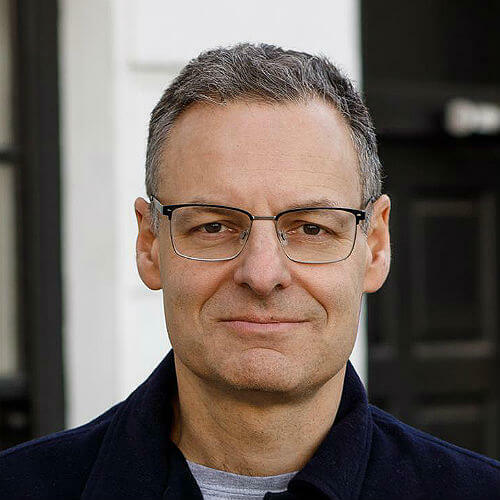 Richard left his job producing commercials in 1996 to travel the world, before training to become a professional photographer. 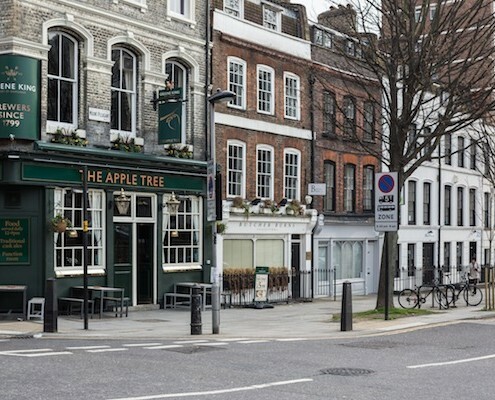 He has now combined this career (you can see his website at www.lewisohn.co.uk) with the studio hire business at Mount Pleasant. 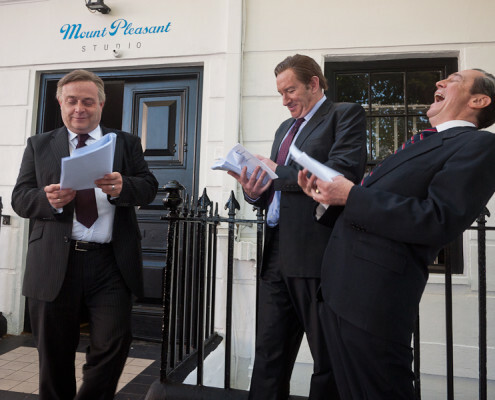 While Mark and Simon work at the sharp end, Richard’s tasks include reconciling the bank account and doing the VAT return. Gabriel, our Stage Manager, originally hails from New Zealand, where he started his career in lighting for commercials and feature films. He then worked in Germany and Switzerland, before studying at Met Film School. 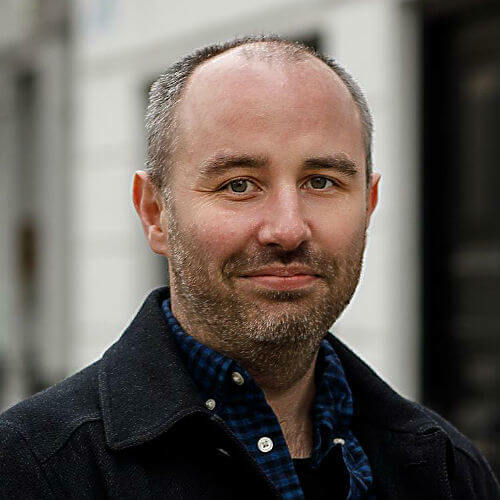 Since then, he has worked as a runner and production assistant on feature film projects, as well as writing and directing his own short films, so is knowledgeable about equipment and experienced with on-set life and looking after clients and artists. He also speaks fluent German. Mount Pleasant Studio is situated behind a Grade ll listed Georgian facade in the heart of London, ten minutes from the West End. In the Victorian era it was a thermometer factory. At the time of the 1901 census, the building was inhabited by 29 people, mainly Italian immigrants from Rome, Naples and Tuscany, among them marble workers, statue painters, dock labourers and … pigeon pickers. 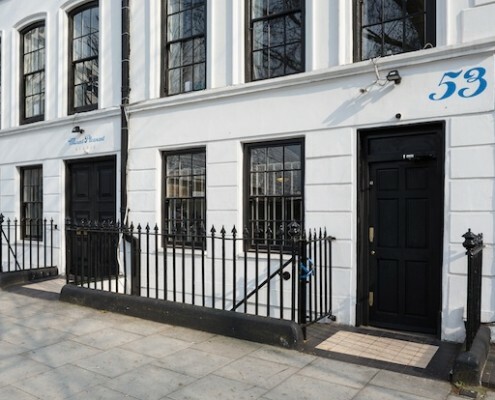 The studio was built in the 1980s for Robert Golden, innovative food director, when the building was the base for Golden Seddon, which later became Julian Seddon Films. For many years during that period every Asda tabletop commercial was shot here. It was fully soundproofed and an infinity cove added in the late 1990s. 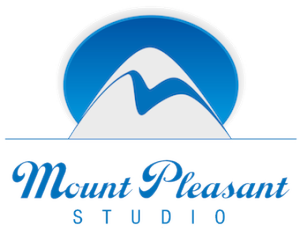 Mount Pleasant Studio opened its doors under new ownership in October 2005. 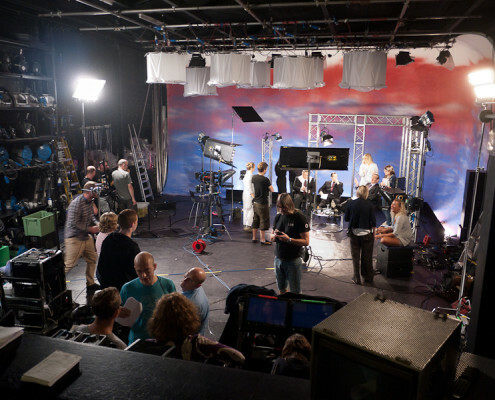 The studio is equipped with a wide range of lighting and camera equipment, including a 120fps Arri Alexa, lights ranging from Arri 12Ks to a Dedo Kit, and a large selection of tools and accessories, from turntables to Climpex, from blue/green screen flats to perspex ice cubes. 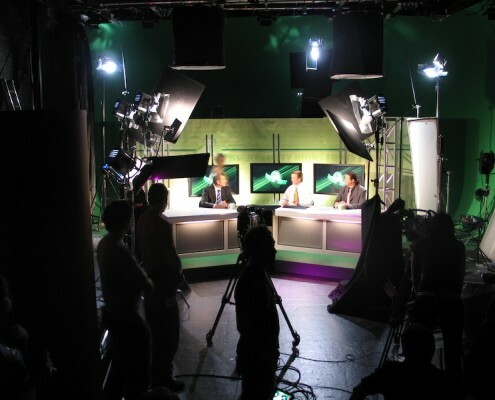 We can hire in whatever you need that is not available on site via accounts with the major camera and lighting companies. A U-shaped cyc was added and the Green Room refurbished in 2013. The studio is unique in having a large industrial kitchen adjacent to the stage, fully equipped with multiple ovens, gas hobs, fridges and freezers. 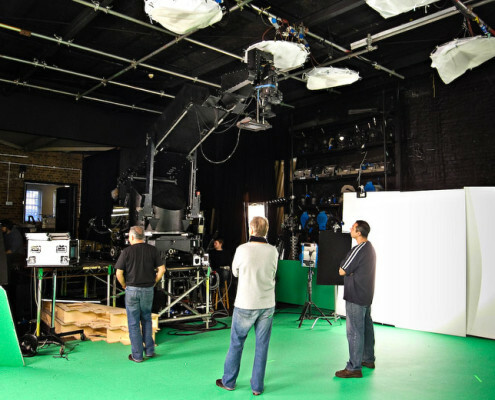 This is included in the hire cost of the studio, in contrast to other studios, where the cost of hiring and transporting kitchen equipment must be factored into the budget. 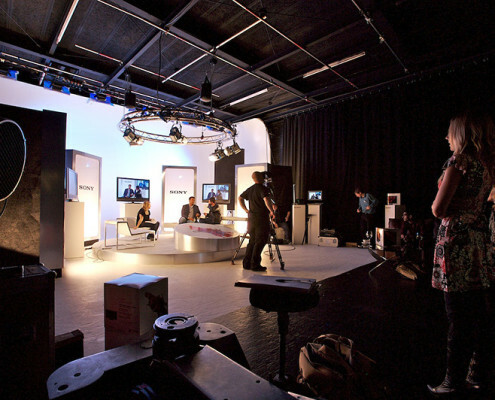 The studio is used by many major commercials and television production companies, among them Academy, HSI, Blink, Tomboy, Bare Films, Disney, Discovery Channel, MPC and the BBC.